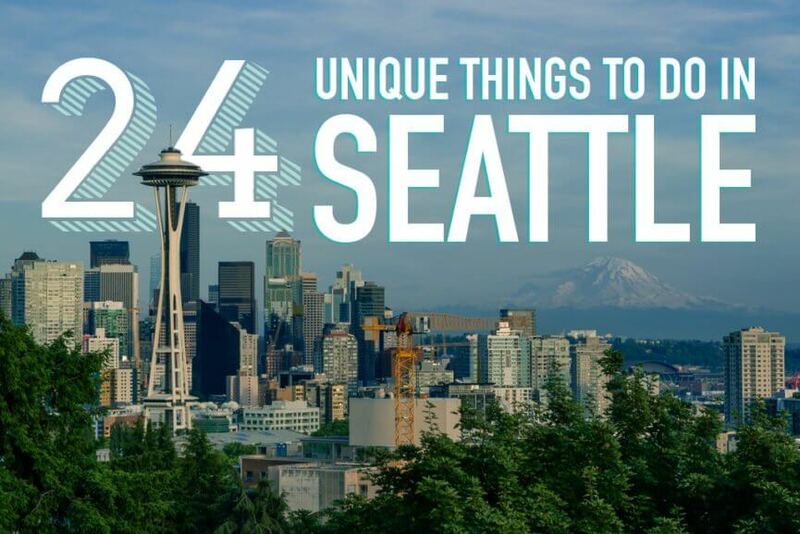 The gem of the Northwest United States, Seattle is one of those places where people love to live and after visiting ourselves it was no wonder why. There seems to always be something to do and see in the city, if not then a short drive and you’re in beautiful mountains, National Parks, or if you venture south you’ve made it Portland. Whether you’re visiting for your first time, returning, or live in the city there are tons of unique things to do in Seattle for everyone. Check out our picks for the most unique things to do in Seattle for your next visit! We also have great guides for how to spend one day in Seattle and what not to miss on a Seattle two day itinerary. 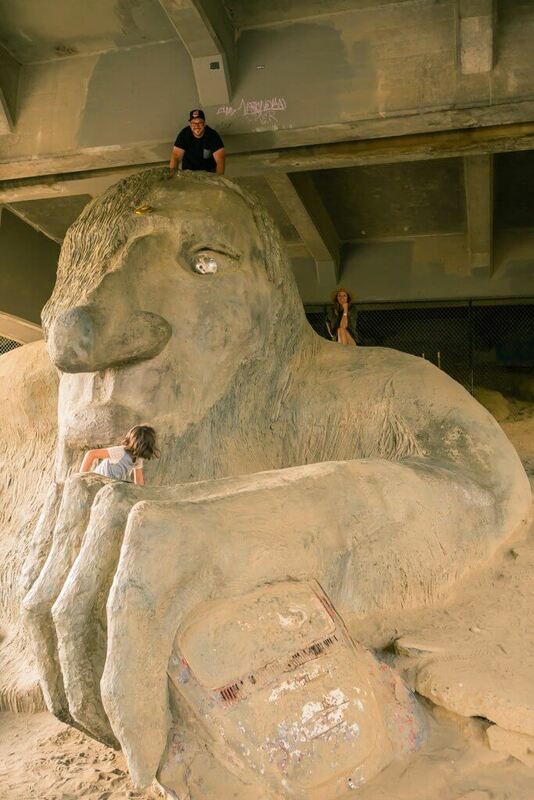 Built in 1990 to deter unsavory groups of people from hanging out under the bridge doing drugs, locals agreed to build the Fremont Troll. His purpose worked but now a new kind of people gather here, gawkers to see this unique thing to do in Seattle that you won’t be able to find anywhere else. You’ll notice the troll is also tightly clutching an old Volkswagon Beetle in his hand. Be sure to climb around and snap a few pics while you’re at it. 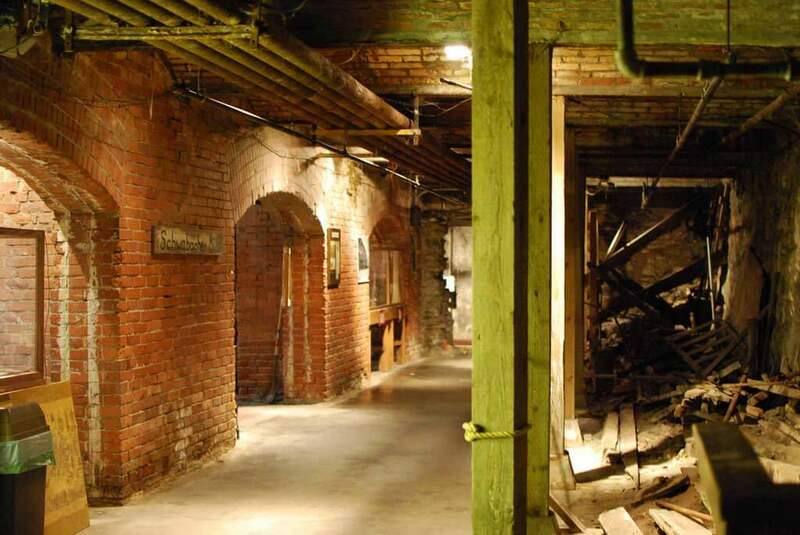 Did you know that Seattle has an entire abandoned underground city that was built on top of? After the great fire of 1889 that destroyed 31 blocks in downtown Seattle, the city rebuilt itself on top of the underground leaving abandoned passageways and rooms that have become a tourist attraction. Some buildings even have a basement level that was left over from the underground, you can tell when there is a window in the basement that looks at nothing! If you want to enjoy the underground and the interesting history behind it, we recommend taking a tour! Even if you’re a skeptic of ghosts, like Scott, you will enjoy this tour! 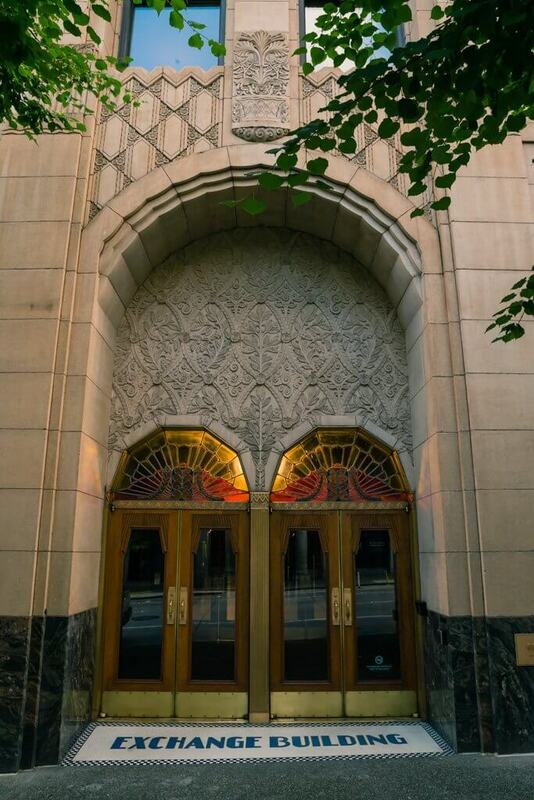 Enjoy a walking tour with a real paranormal investigator with Spooked in Seattle. Our guide was full of information and had tons of visual and audio examples to go along with the stories of hauntings from Seattle’s historic Pioneer Square. Throw in a short history lesson of the city and this was one of the best-guided tours we have ever been on. There are some creepy stories that go on in Seattle, the icing on the cake would have been at the end of the tour when we got to go through a haunted underground room. If you don’t have time to do both a haunted tour and the underground tour, you get the best of both with Spooked in Seattle! Take a tour of Seattle via an old WWII amphibious vehicle! After driving through all of the city’s hotspots you get to drive straight into Lake Union and make a splash. There are daily duck boat tours, although, after a recent accident, many people are too scared to ride these vehicles. Safety comes first, but riding a duck boat is surely one of the most unique things to do in Seattle! 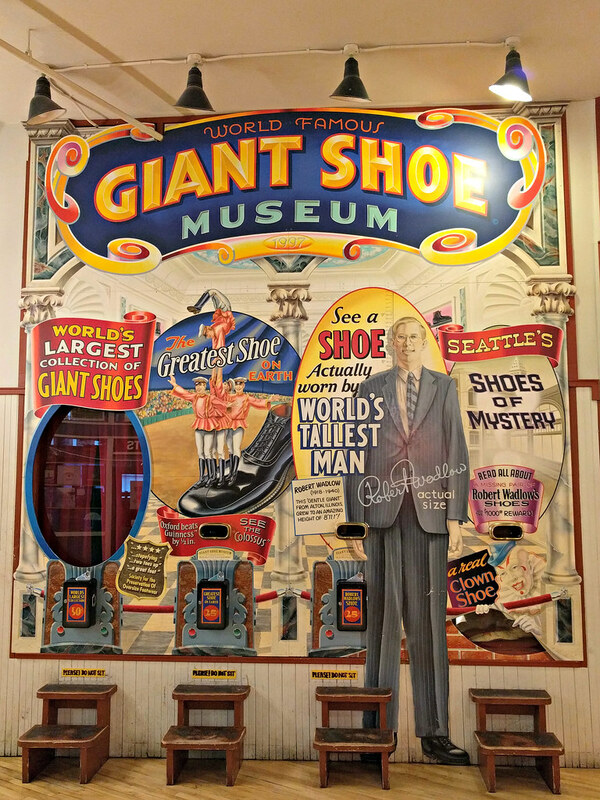 This one is a bit odd and kitschy, but there’s a world famous giant shoe museum in the lower level of Pike Place Market! The museum is rather small, extending on one small wall, but gives you a glimpse of what an old circus show would look like. At only $.50 to peer into the exhibit, it’s almost too cheap to miss out! 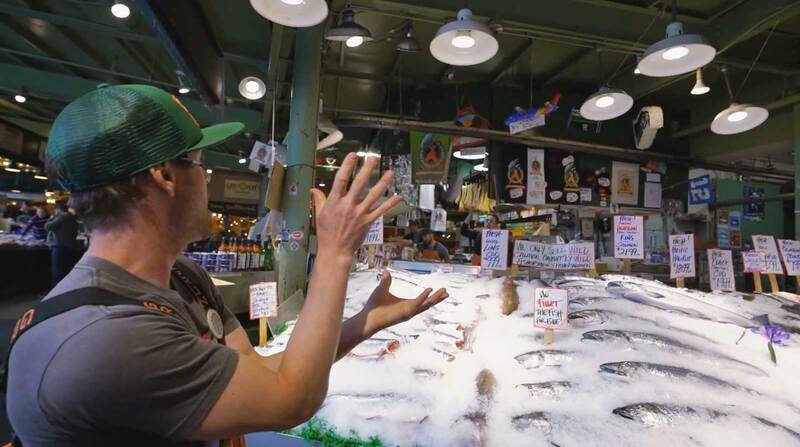 Witness the popular throwing of the fish at Pike Place Market by the fishmongers! This has become a tourist attraction of its own gathering crowds of people with their phones ready to record when someone purchases one of the day’s catch and the fishmongers toss it back and forth to each other. It’s quite a spectacle and fun to watch as the fish are pretty big that they are tossing around like a ragdoll. Don’t worry about missing it, you just have to wait around for about 5-10 minutes to please the crowd. This famous gum wall is located just under Pike Place Market next to the Market Theater. Legend has it that a cheeky comedian performing at the theater was told no gum was allowed inside as he was entering. His reaction was to take the gum and stick it to the wall and walk inside as a real f you to the bouncer. Eventually, people caught wind and started putting their chewed up gum on the wall. The city has cleaned it twice and it just keeps filling up, now they accept it as a tourist attraction and embrace its popularity. 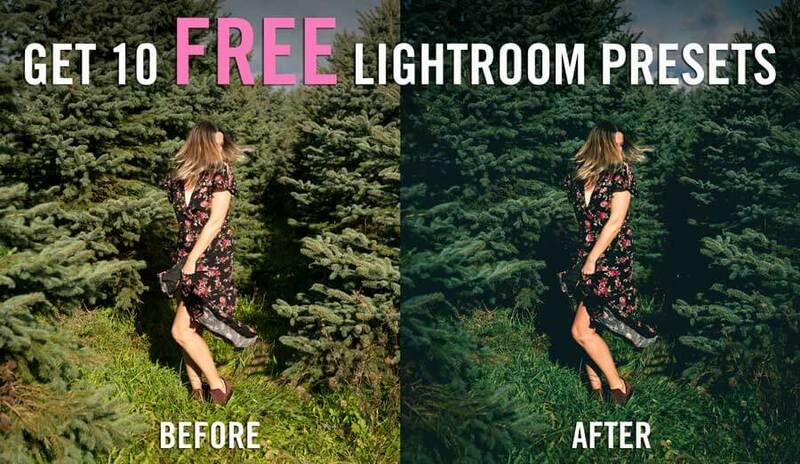 If there are any Twin Peaks fans out there then this one is for you! 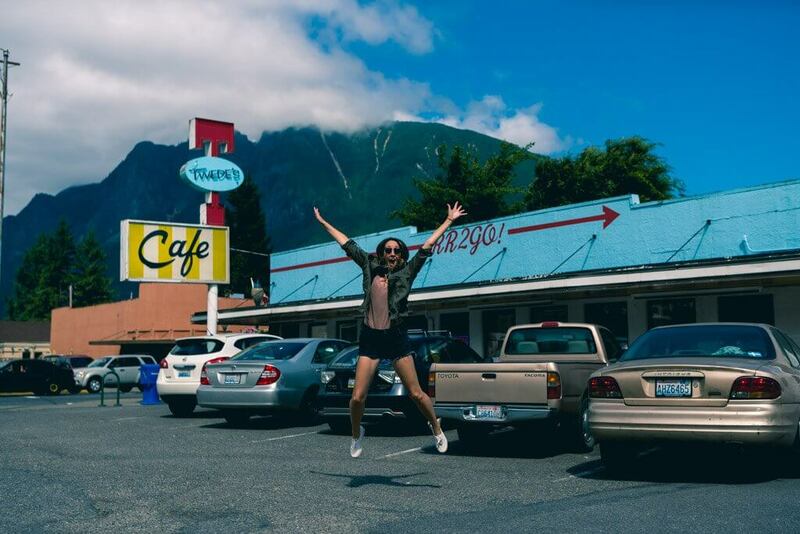 Just about a 40-minute drive outside of Seattle, near the famous Snoqualmie Falls, is the actual town and cafe where the famous drama from the 90s that only made it to two seasons was filmed. Even though there were only two seasons, the series was able to gather a cult following, for those who loved the show are more than ecstatic to its recent return on Showtime. Visit Twede’s Cafe and all the other shooting locations nearby. 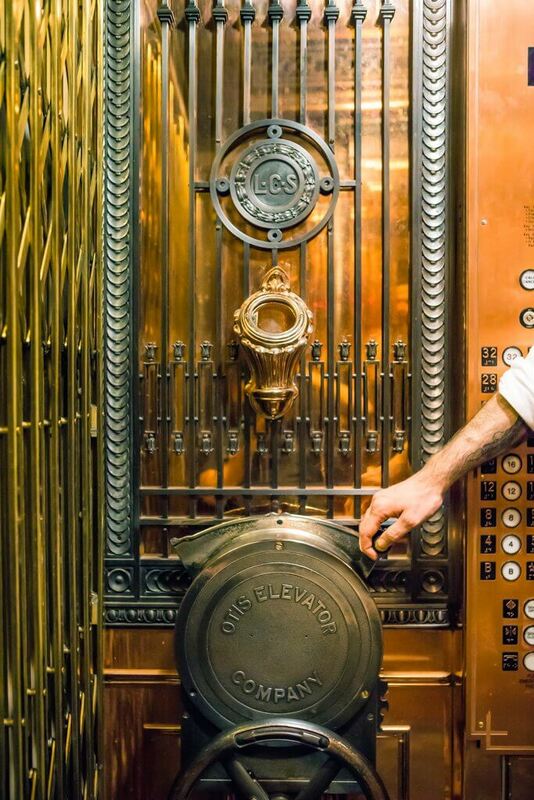 Did you know elevators used to be man operated back in the day? This was never a thing in either of our lifetimes so it was exciting to learn that we could ride in one at Smith Tower. Dressed in attire like an old bellhop, you felt as if the elevator operator was from the famous Disneyland ride, Hollywood’s Tower of Terror. The operator takes you up to the observatory level where you can hang out in a Gatsby-esque period room with amazing cocktails and an even more amazing view of Seattle. We think Smith Tower is the best viewing spot in the city given the atmosphere and cool lounge that’s on the top all without a massive crowd like at the Space Needle. 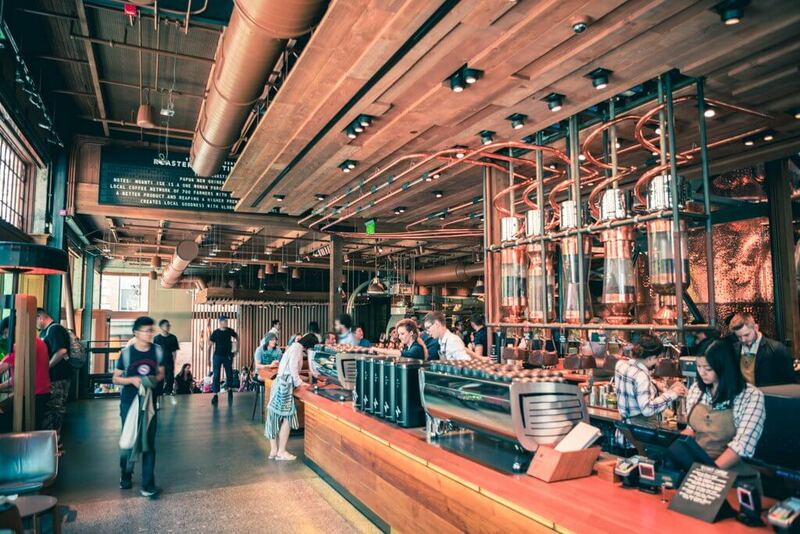 The Starbucks Reserve Roastery in Capitol Hill is comparable the Guniess Storehouse in Dublin or the Heineken Experience in Amsterdam. It’s an experience and your average Starbucks on steroids. This giant location is full of copper machinery that roasts the coffee beans right in front of your eyes. There are multiple bars that serve up your favorite cup of joe the way you like and even a shop selling any coffee accessory you could imagine. Their signature and unique drink here would be the cold brew float. You have to try one for yourself and enjoy the entire coffee lover’s dream experience. There’s a real-life Up house in Seattle! 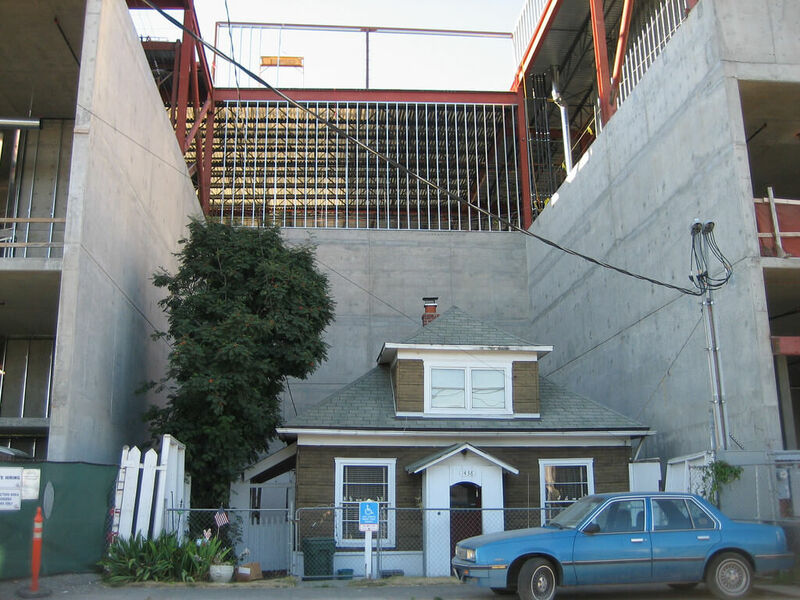 Located in Ballard, the old woman who used to live in the house refused to sell her home to big developers. In the end, the house is still there and the big developers built around the house not leaving any extra room for the home. Apparently, no one lives in the home today, but they still won’t sell and has become a local landmark. You can check out the full story or visit it yourself! Sometimes people attach balloons to it, but there weren’t any when we were visiting. 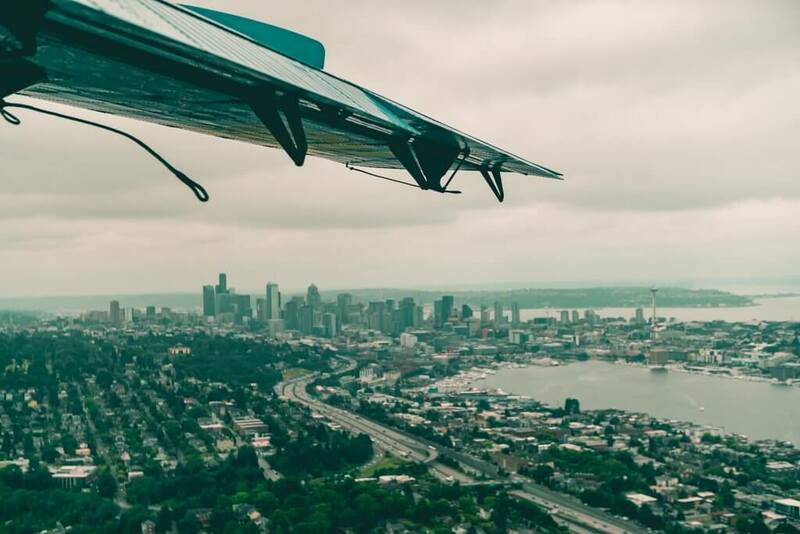 One of the most unique things to do in Seattle is seeing the city from above in one of their famous seaplane tours! We had a blast on our Kenmore scenic seaplane tour. It was a 20-minute journey overlooking all the city’s hotspots including going directly over the Space Needle! On a clear day, you can see all the nearby mountain ranges including a great view of Mount Rainier. It’s unbelievable how smooth the landing and take off is on a seaplane! 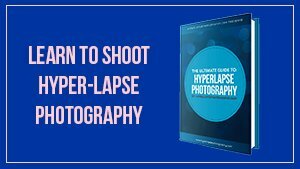 We highly recommend checking this out for yourself! 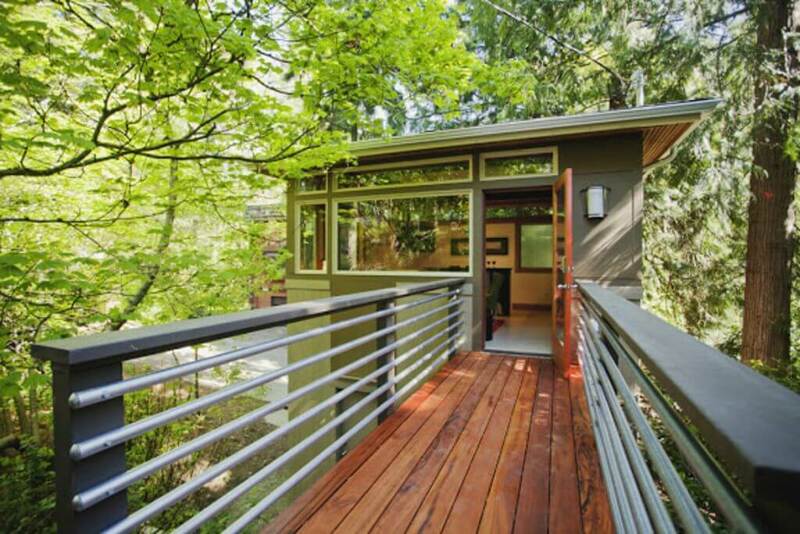 Did you know you can sleep in a treehouse in Seattle?! This has to be one of the coolest and most unique things to do in Seattle. 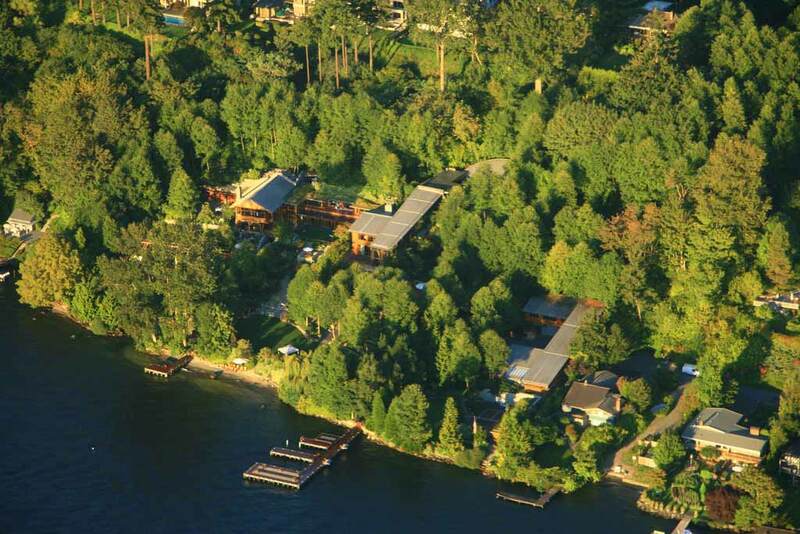 Check out some great options from TreeHouse Point, just 30 minutes outside of the city, Treehouse home rentals on VRBO just 10 minutes outside of the city, or any of these Airbnb listings! 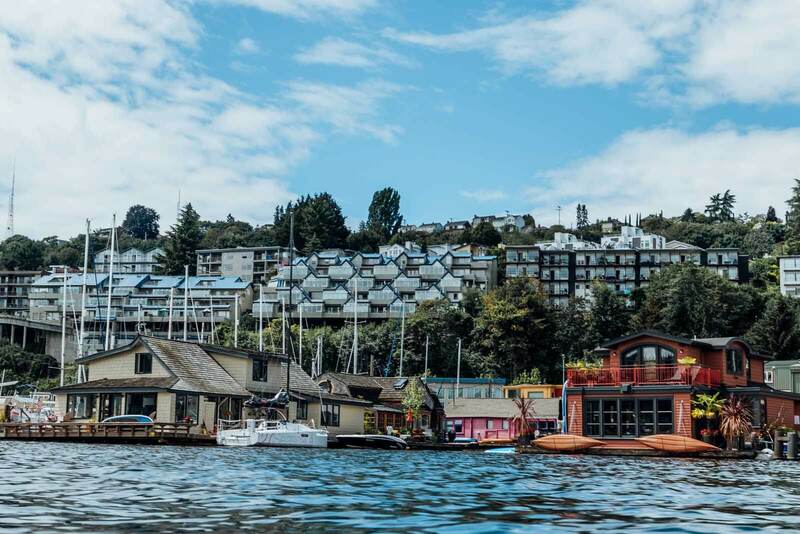 Do a houseboat rental just like Tom Hanks in Sleepless in Seattle! 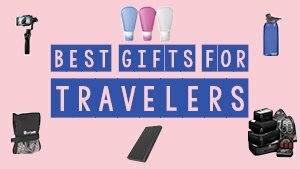 There are luxury options and more affordable options. 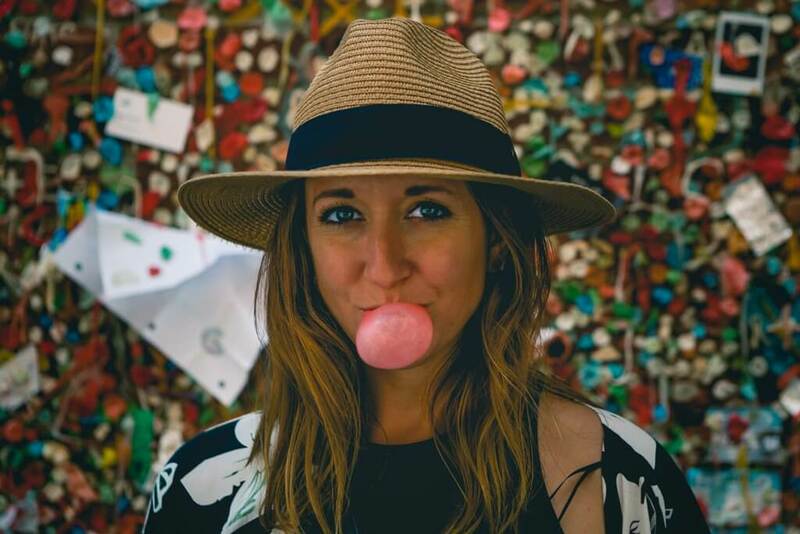 This is one of the more unique things to do in Seattle, especially if you’re a huge rom-com or Sleepless in Seattle fan! 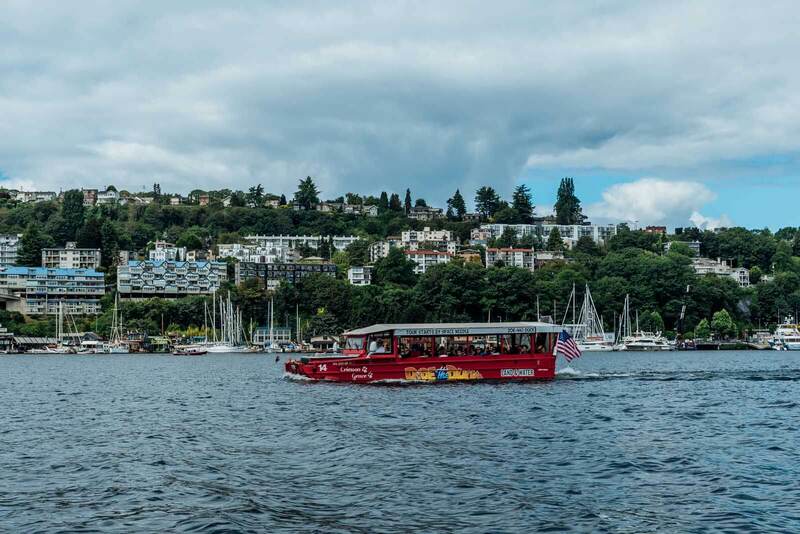 We also have a great guide for where to stay in Seattle by neighborhood and budget to help you plan your trip including a houseboat. Love playing mini golf and drinking delicious craft beer? Then Seattle has the perfect place for you! 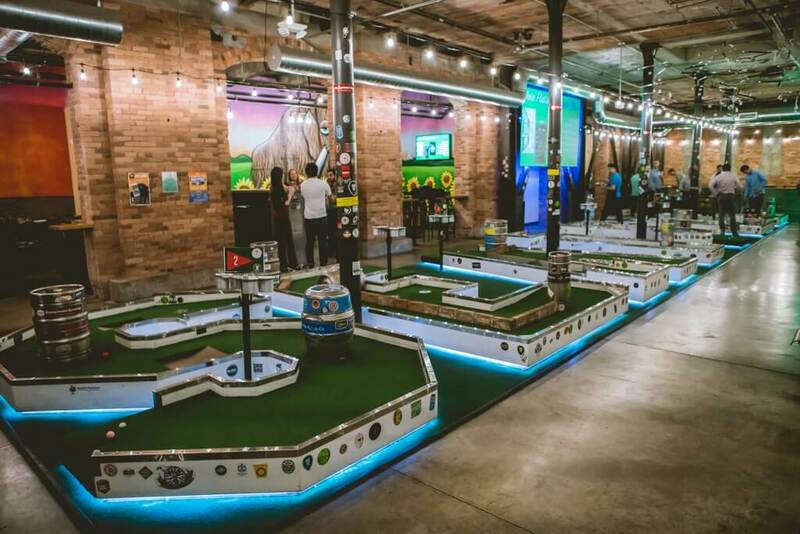 Flatstick Pub offers hand stick games, mini golf, giant Jenga, giant connect four, craft beer, and even lets you bring your dog! There are two locations, we only hit up the location in Pioneer Square and had a blast. If we didn’t have a plane to catch later that day we would have spent a whole afternoon here! This pick is a bit X-rated and only for adults. 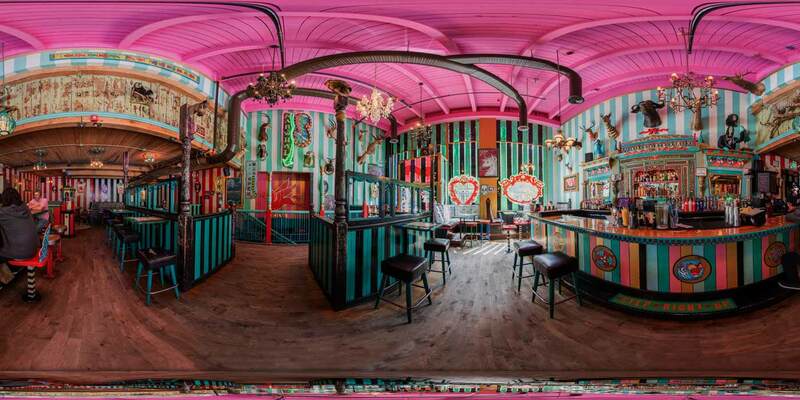 Unicorn Narwhal in Capitol Hill is a fun gay bar serving up everything from cocktails to corndogs. In the basement, you can play a fun a claw machine with adult prizes like big old dildos and vibrators! That’s not all though, there are also pinball games and photo booths for a fun day out! Another one of the most unique things to do in Seattle would be renting a hot tub boat on Lake Union! 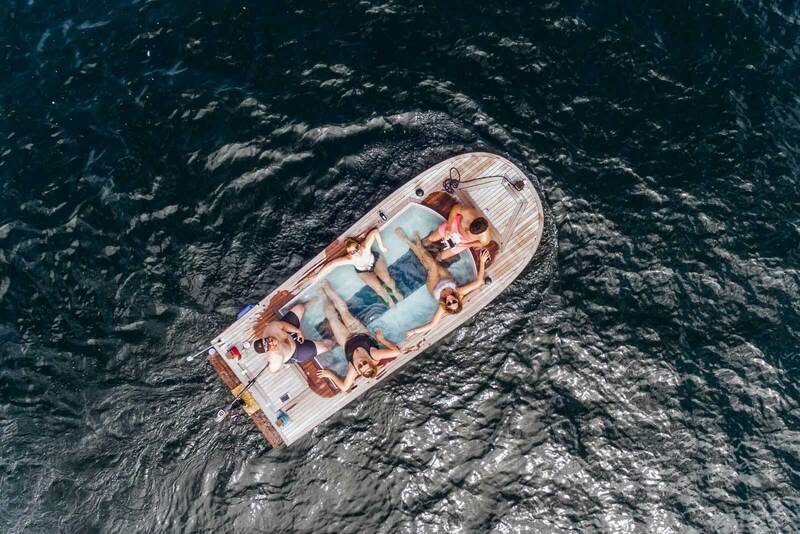 You heard that right, you can rent a hot tub BOAT for you and up to 6 people total for two hours at a time around Lake Union. If you have 6 friends to enjoy this with it’s only about $60/person! If you end up falling in love with the hot tub boat you can even purchase one from them! This one is a bit of a stretch since very few people have actually been able to visit Microsoft billionaire Bill Gates house. Some try to drive past it or at the very least maybe you can see it from a seaplane tour. If not you can take this virtual tour or read about all the crazy facts about his home, everything from his favorite tree that has 24-hour surveillance to changing the artwork on the walls at a touch of a button. Check out the most famous and notorious Kung Fu Master’s grave in Seattle’s Lake View Cemetery. 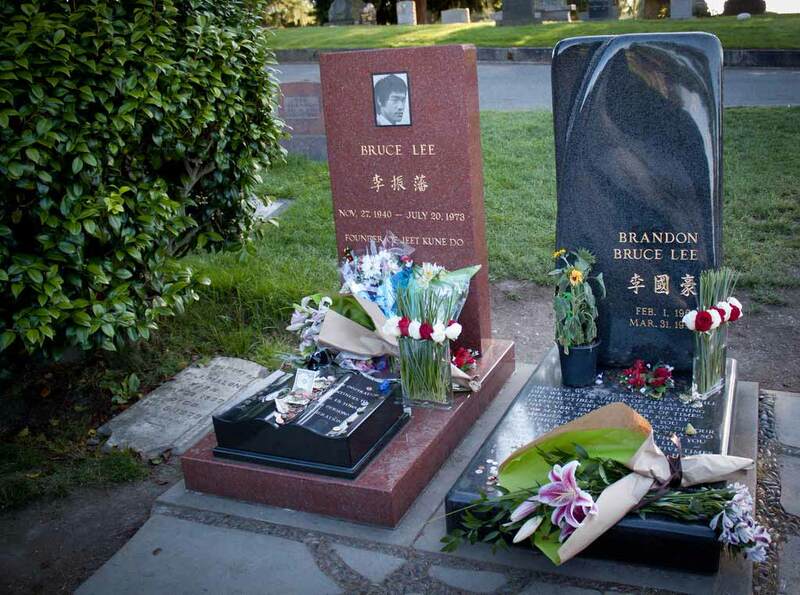 Next to Bruce Lee’s grave is his son, Brandon Lee’s grave too. Bruce Lee died far too young at the age of 32 from swelling of the brain from painkillers he was taking. While he may have passed, his legacy lives on and people flock to his gravesite site to pay their respects. 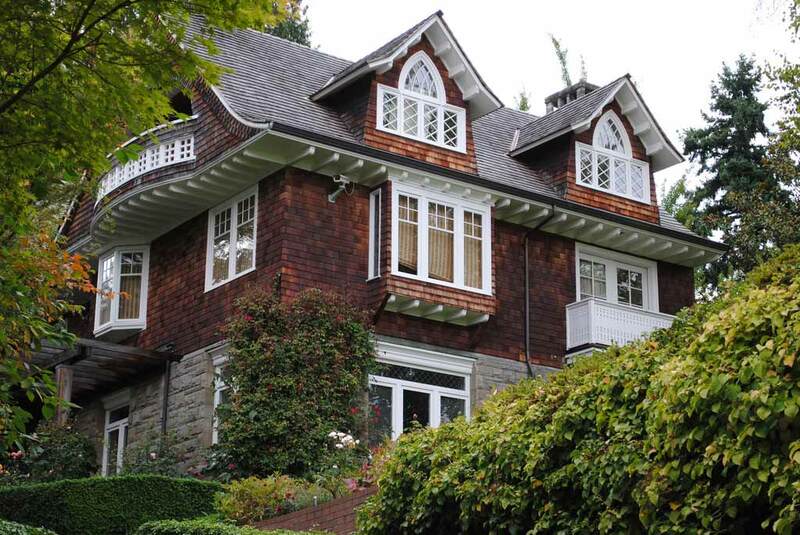 Famous Nirvana frontman and forever 27 member’s home was Seattle. Cobain has a huge fan base even though it has been over two decades since he passed away. You can drive past his previous home, although Courtney Love had the greenhouse torn down shortly after his passing. People drive by to pay respects to their music icon. Orcas are one of the most beautiful underwater animals on the planet and every child has probably dreamed of seeing one in their lifetime. 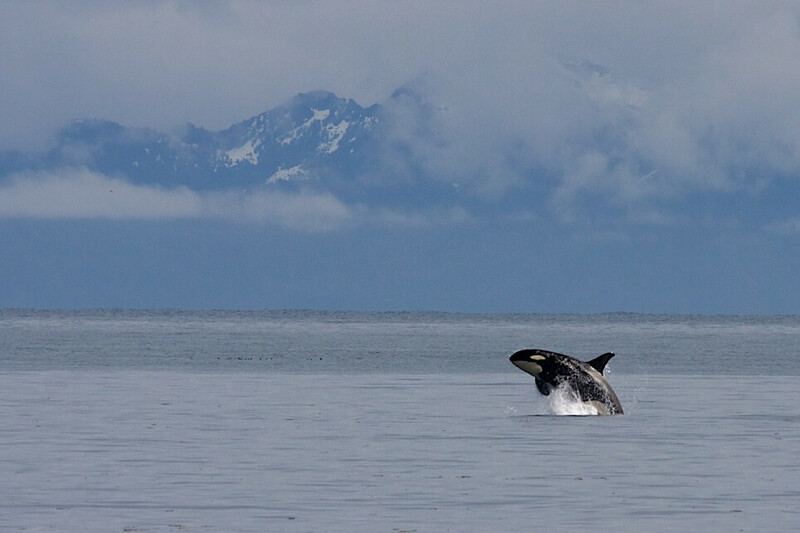 Skip Seaworld and check out Orcas in their natural habitat by taking a whale watching tour from Seattle. You can take a day trip from Seattle on a whale watching cruise that takes to the San Juan Islands where you can see Orcas almost daily. This is an unforgettable and unique thing to do in Seattle! You know the saying, one man’s trash is another man’s treasure. 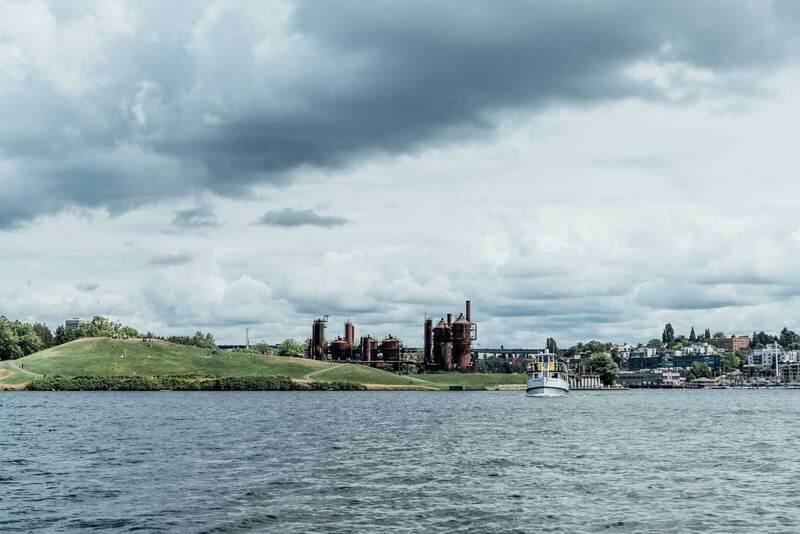 Once a gas plant and now turned into a park, Gas Works park is one of the most unique things to see in Seattle and one of the most unusual parks we have ever heard of. Now people come here to relax and hang out while enjoying the view of Lake Union. 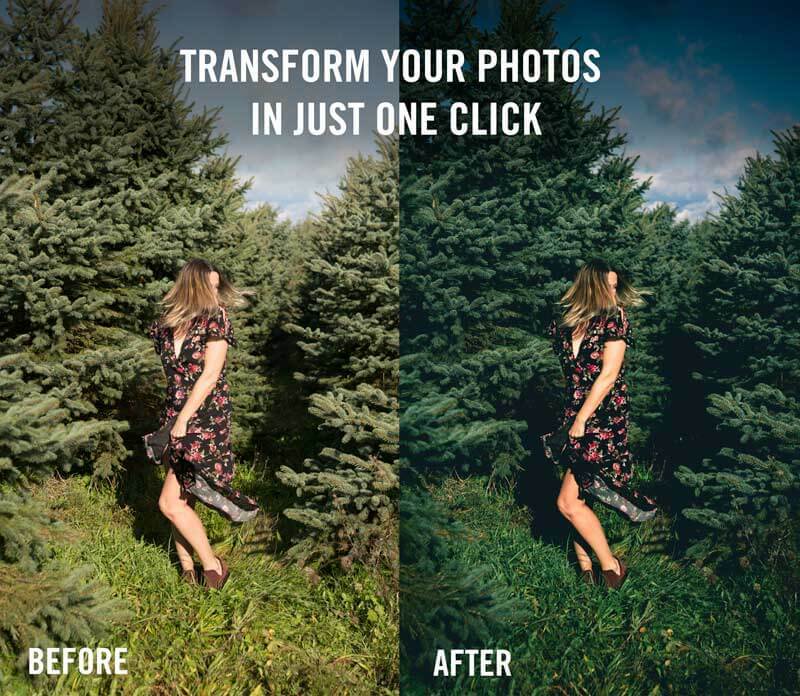 It sure makes for an interesting photo! This one made me laugh. 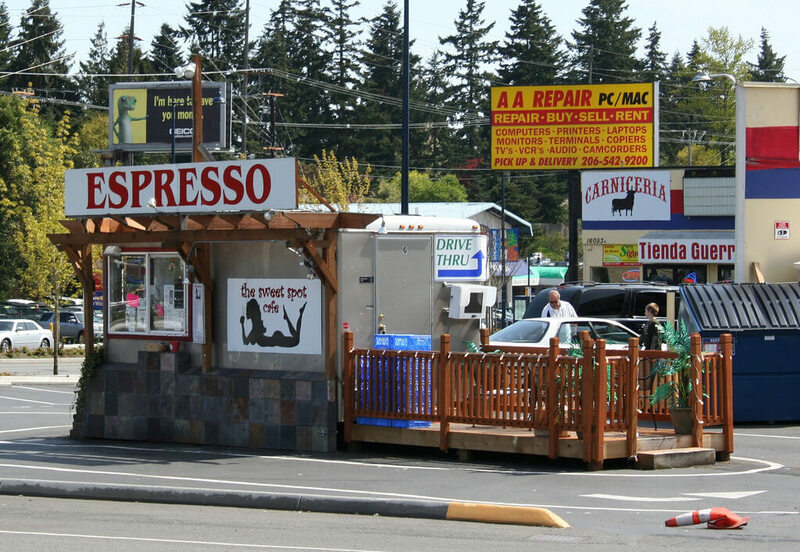 We were driving to our friend’s house in Seattle and we saw a tiny coffee stand where the female barista was wearing a thong bikini serving up hot cups of coffee. I guess it was the location that got me because it felt like we were far outside the city and it’s not every day you see bikini baristas! It turns out there are tons of bikini baristas all over the city, over 133 locations to be exact. This is a unique thing to do in Seattle because I have never heard of this anywhere else! 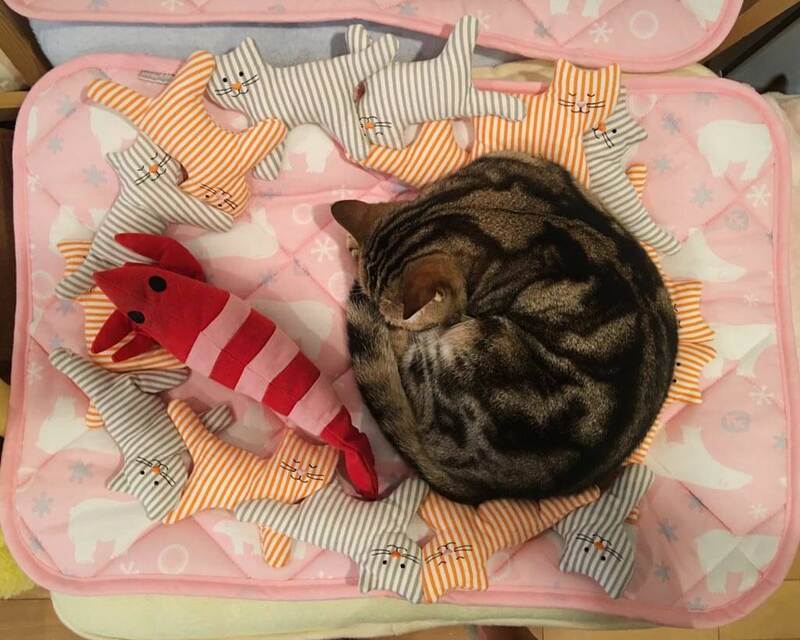 For those of you who have been following our blog, you know that I am a big fan of cat cafes and they are easy to find all throughout Asia. However, they are less common in the US. Seattle has it’s very own cat cafe named Meowtropolitan. Although if you plan on visiting be sure to make a reservation otherwise you will be pussless while drinking your cup of coffee. 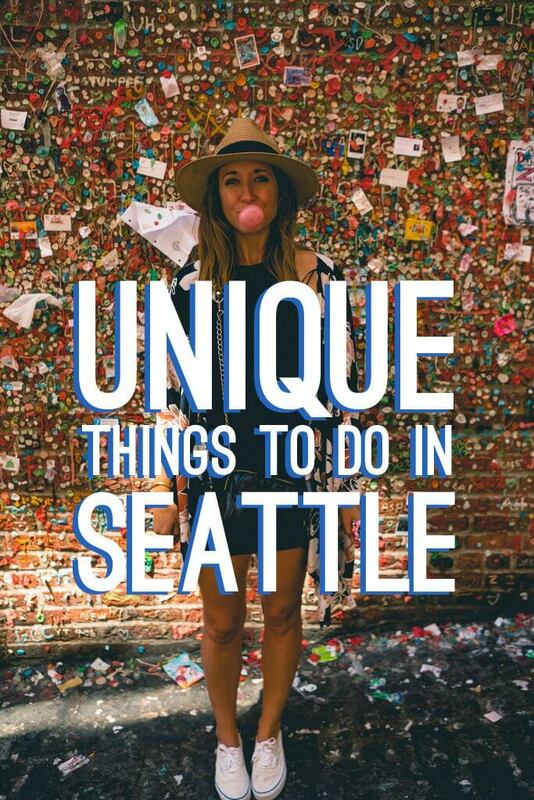 Did we miss any of the unique things to do in Seattle? Let us know in the comments below! Seattle isn’t the only place in Washington full of unique things to do, check out the best day trips from Seattle for more unique experiences! If you liked this post, share the love below on Pinterest below!